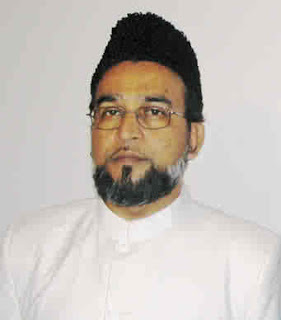 On the occasion of Musleh Maoud Day, the Khalifatullah Hadhrat Munir Ahmad Azim Sahib (atba) of Mauritius delivered a special sermon on February 20, 2012. The speech contains illuminating insights on the life and personality of the Musleh Maoud Hazrat Mirza Bashir-ud-Din Mahmood Ahmad, the Son and Promised Reformer from the family of the Promised Messiah Hazrat Mirza Ghulam Ahmad (as). The first instalment of this important speech was published on February 23, 2012 and is available here. The speech is also significant for the powerful and unassailable spiritual arguments the Khalifatullah brings forward in defence of Hadhrat Musleh Maoud (ra), especially in the backdrop of the objections being raised against his divinely-granted status by Abdul Ghaffar Janbah Sahib of Germany who claims to be the Mujaddid of the era]. On the occasion of Musleh Maoud Day, Khalifatullah Hadhrat Munir Ahmad Azim Sahib (atba) of Mauritius delivered a special sermon on February 20, 2012. The speech contains illuminating insights on the life and personality of the Musleh Maoud Hazrat Mirza Bashir-ud-Din Mahmood Ahmad, the Promised Son and Reformer of the Promised Messiah Hazrat Mirza Ghulam Ahmad (as). The speech is also significant for the powerful and unassailable arguments the Khalifatullah brings forward in defence of this Man of God, especially in the backdrop of the objections being raised against his status as Musleh Maoud by Abdul Ghaffar Janbah Sahib of Germany who claims to be the Divinely-appointed Mujaddid of the era. This part contains the first instalment of this important speech and deals with the major milestones in the life of Hadhrat Khalifa Sani (ra). 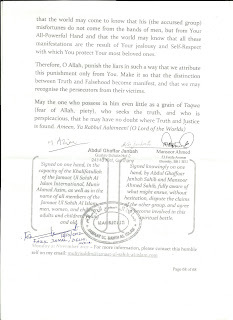 The second instalment dealing with the accusations that he met with an accursed death of a false claimant of Divine office is examined against the backdrop of true Islamic teachings on the Divine shadow of help over the missions of Divine Elects, historic record of martyrdom of the Jewish Prophets and the experiences of the Holy Prophet (sa) himself. For the second and final part of the Speech, click here]. Musleh Maoud Day marks the announcement of the revelation of the prophecy by the Promised Messiah, Hazrat Mirza Ghulam Ahmad (as), about the birth of a son to him who would be the Musleh Maoud or Promised Reformer. The advent of Musleh Maoud was not only prophesised by the Promised Messiah but also by the Holy Prophet Muhammad (pbuh), and the saints of Islam who lived before the advent of the Promised Messiah and in the scriptures and traditions of the past. Born on 12 January 1889, Hazrat Musleh Maoud started his education in early 1895 with the simple reading of the Holy Quran. He attained fluency in reciting the Holy Quran within the short period of two years and an Ameen function was held to mark the happy occasion on 07 June 1897. For this memorable achievement the Promised Messiah (as) composed a poem in the form of a moving prayer, in acknowledgement of the grace and favour of Allah. (Thereafter Huzur (atba) sang the said poem). He was then enrolled in the District Lower Primary School and then later joined the Talimul Islam School. Due to his constant ill-health and weak eyesight he did not achieve any degree of success in his secular studies. The Promised Messiah was very much concerned about his son’s illness to the degree, that in the last days of his life, he called one of his attending physicians and told him to take greater care of Mahmood’s health and should be more attentive to his treatment. His teachers were not altogether satisfied with the educational progress he was making in his studies, so they complained to the Promised Messiah who had him undergo a hand-writing test and found that his handwriting corresponded almost to his own. In his matriculation examination he could only secure passes in Arabic and Urdu. Subsequently, Hazrat Maulvi Nuruddin (ra) took over the duties of his religious education. At the early age of fourteen, he composed his first poem in which he addressed Allah in the following words: “I seek Thy pleasure all the time. If I am favoured with it, I shall feel that I got all that there is to get.” This was the state of the heart that was to revolutionise the world and we find that was his guiding theme throughout his life which led him from success to success. In 1903, he married Sayyeda Mahmooda Begum who later became known as Hazrat Sayyeda Umme Nasir. In May 1914 he married Hazrat Sayyeda Amatul Hayy, the daughter of Hazrat Khalifatul Massih I. Then in 1925, he married Hazrat Sayyeda Sarah Begum. He subsequently married Hazrat Sayyeda Umme Tahir. The first mentioned wife bore him Hazrat Mirza Nasir Ahmad who then became Khalifatul Massih III, while the last mentioned wife bore him Hazrat Mirza Tahir Ahmad (may Allah forgive him) who then afterwards became the Khalifatul Massih IV. Among his other renowned sons are Mirza Mubarak Ahmad. In March 1906 he started the publication of a magazine known as Tashhizul Azhan of which he was the editor. His first editorial covered fourteen pages. In the Jalsa Salana (Annual Gathering) of the same year, he delivered his first important lecture which was highly appreciated by the audience and which was later published as a book. In March 1914, Hazrat Khalifatul Massih I became seriously ill, so he appointed Hazrat Musleh Maoud to lead the prayers. It may here be noted that Hazrat Musleh Maoud was only 25 years old at that time and to be appointed Imaam for prayers by the Khalifatul-Massih I showed what qualities must have been observed in him. 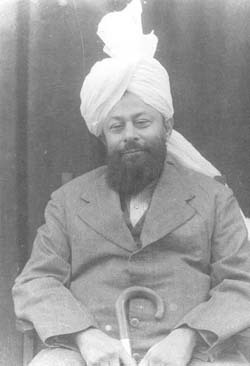 In this context it may be pointed out that an old and very respected companion of the Promised Messiah whose name was Pir Manzur Muhammad, after studying the works of the Promised Messiah on the subject of Musleh Maoud concluded that Mirza Bashiruddin Mahmud Ahmad combined in himself all the qualities which mark him out very clearly as the Musleh Maoud of the prophecy. He wrote a paper on it deducing fourteen points and applied the prophecy to Mirza Bashiruddin Mahmud Ahmad (ra). He presented the paper to Hazrat Khalifatul Massih I and having written a gist of the discussion between himself and the Khalifatul Massih, he presented it to him, requesting his signature for confirmation. On Friday 13 March 1914, Hazrat Khalifatul-Massih I passed away and the following day Hazrat Mirza Bashiruddin Mahmud Ahmad (ra) was acclaimed as Khalifatul Massih II at that young age of 25. According to the prophecy announced by the Promised Messiah about the Musleh Maoud, two of the qualities mentioned are that he would be filled with secular and spiritual knowledge. During more than half a century of his Khilafat, Hazrat Musleh Maoud (ra) demonstrated these qualities in an exceptional manner. In 1924, he travelled to England to present a paper at the Conference of Living Religions of the Empire. The natural outcome of the paper is his book Ahmadiyyat or The True Islam. On 19 October 1924, he laid the foundation stone of the London Mosque. During the early thirties, he played an important role in the Kashmir situation and was unanimously acclaimed as the first President of the All India Kashmir Committee, a duty which he performed meritoriously. The result of the All India Kashmir Committee were nothing but miraculous. He initiated Jalsa Seerat-un-Nabi (pbuh) and some years later, he launched All Prophet’s Day. With the combined efforts of the Ahrar and the Mullahs to undo the Community, Hazrat Musleh Maoud (ra) initiated the scheme of Tahrik-i-Jadid which roused the members of the Jamaat to respond admirably with great sacrifices. In 1944, he announced publicly that it was revealed to him that he was the Musleh Maoud (Promised Reformer) mentioned in the prophecy of the Promised Messiah who was the recipient of Divine revelation from his very youth. He wrote by the grace of Allah more than two hundred books and pamphlets and his most famous work was the Tafseer-i-Kabeer which is a veritable storehouse of knowledge. All his writings and speeches display a very high scholarship in both the religious and secular fields and they stand second to none in his time. In every aspect of his life and action was fulfilled in every detail the prophecy about him being the Musleh Maoud. It was on Monday, 08 November 1965 that he breathed his last. Slavery as a social institution existed in different parts of the world for a very long period of time. It is a stark reminder of the dark episodes in world history when men- including in Muslim lands- had had no qualms about treating his fellow beings as mere chattel. 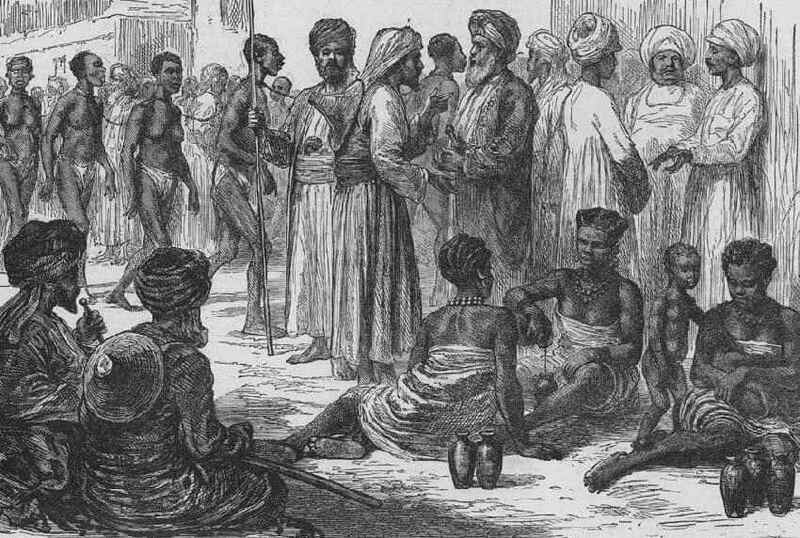 [Illustration: "Slave-dealers and slaves—a Street Scene in Zanzibar" ]. In this post-modern age, ideas of basic human dignity and fundamental rights have gained widespread acceptance all over the world. And, the very notion of slavery militates against the concepts of decency, propriety and equality in human relations. The teachings of Islam are designed to gradually eliminate evil practices such as slavery. While all Muslims cannot absolve themselves of not indulging in slave trade in the past, Islam as practiced by the Holy Prophet Muhammad (saw) certainly envisions a social order designed to reflect the sublime spiritual values it espouses: live in this world with a wider consciousness about your duties towards the Creator and the fellow beings. Learn to recognize the essential unity and common brotherhood of all mankind. Discharge your responsibilities towards fellow human beings. Empathy and understanding, compassion and consideration for people who are in need of assistance is a Qur’anic obligation on believers, reminds the Khalifatullah Hadhrat Munir Ahmad Azim Sahib (atba) in a recent article on the subject in “Le Socialiste” Newspaper of Mauritius on February 15, 2012. The advent of Islam was to be known as the absolute way of life of a human being. Islam verily means complete submission to the Creator of the Universe, the Supreme God, our Master and Guide. As a Creator, Almighty God does not differentiate between His servants and thus, so as to guide us all to His path, He sends from time to time His elects to make people understand His Divine Message. Muhammad (saw) was such an Elect, who through his perseverance and absolute obedience to Almighty God received the distinction of Seal of Prophethood, the Best of Mankind and the best example and role model to follow. He indeed was the personification of the divine laws as established in the Holy Quran. To know Islam, one must analyse deeply the life of Muhammad (saw). In fact, his life reflect many aspects of life as lived by both the poor and the rich, and among the poor there was of course the slaves who were devoid of rights in the pre-Islamic times. Muhammad’s (saw) compassion to the poor and the slaves knew no bound. 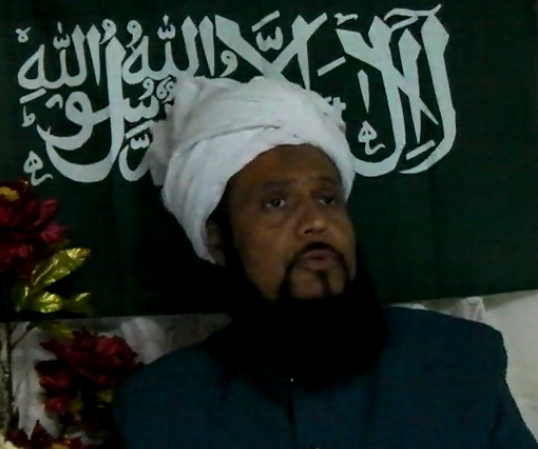 In his Friday Sermon of February 17, 2012 Khalifatullah Hadhrat Munir Ahmad Azim Sahib of Mauritius (atba) informed the members of Jamaat Ul Sahih Al Islam International about an important development- Abdul Ghaffar Janbah Sahib of Germany who claims to be the Mujaddid of the current Century and his disciple Mansoor Ahmed Sahib have both finally signed the Mubahila Challenge after months of dilly-dallying, a challenge that was originally issued by the Khalifatullah on November 21, 2011. “Before closing this sermon, I would like to inform all our members that yesterday (16 February 2012) I received a confirmation email (dated 15 February 2012) and the signed document of the Mubahila Challenge (Pg. 68 - unknown date) which both Abdul Ghaffar Janbah (Kiel, Germany) and Mansoor Ahmed Sahib (United Kingdom) signed. Before uploading it officially online on our website and with Insha-Allah the signature of our brother Mukarram Fazil Jamal Sahib, we are waiting for an English translation of the Comments of Abdul Ghaffar Janbah Sahib entitled “Lion of God” which he wrote in Urdu – so that the whole world may easily know what has been said in a language clear to all. 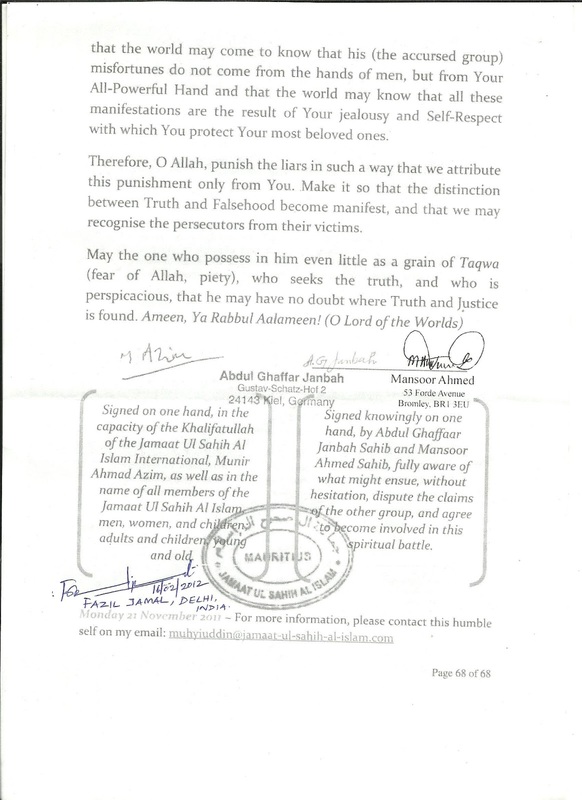 [Inset: The Last Page of the Mubahila Document as signed by all the parties concerned. The Full Document is subsequently uploaded at the Official website and is now available here]. It is most unfortunate that after hundreds of divine favours in the aftermath of recognising and accepting a humble Messenger of Allah, Zafrullah Domun Sahib went away along with his family members from the Divine Manifestation they witnessed at close view. He “acknowledges” the Divine Manifestation but not the person behind it; person whom Allah has chosen as His Elect and whom he recognizes and took the Bai’at (oath of allegiance) in the year 2003 onwards. “Today is also the first Friday of this year. I cannot forget that fateful day of 5th January 2001 when the then amir made a Khutbah Jummah in Dar es Salaam Rose hill announcing our expulsion from Jamaat. At that time many thought we would rush to present our excuses and re integrate the Jamaat. But Allah stood by us although the then caliph and his amir and consequently almost all members of the Jamaat sided with them. At that time Allah comforted us saying that we should not at all be worried because he was with us and He would destroy those who did wrong. As always Allah is true to His words. Now, it is interesting to note that Zafrullah Domun Sahib has witnessed so much and verily it became true what Allah has vouchsafed to this humble self (as the recipient of the divine messages he mentioned in his Friday Sermon), and yet he finds himself now far from the circle of Allah’s Representative (Khalifatullah). “During the course of those conversations I understood that he was receiving several revelations and that through the dreams, visions and revelations we were being told about matters of which we knew not. Our attention was being drawn to several verses of the Holy Qur’an, to known and unknown ahadiths, to several prayers of the Holy Prophet Muhammad (s.a.w), to prayers, the source of which we were unaware of, and also to extracts from the Promised Messiah's books or from his malfoozaaat. In a recent Book throwing light on the early days of the Divine Manifestation, the Khalifatullah writes about an important dream he made years before the eventual establishment of Jamaat Ul Sahih Al Islam. Tests of faith are a recurring theme in spiritual history and it takes different forms and ways in the every day lives of believers. Islamic history itself bears witness that hundreds of hypocrites left the presence of the Holy Prophet (sa) after claiming to be his followers, at critical moments of his Divine Mission when serious issues of life and death hovered over the early Muslim community. Yet, such incidents and events did not and could not harm the cause for which the Divine Messenger stood up and called the world’s attention. Indeed, the survival (and later, flourishing) of the Divine Mission against all odds and trials and tribulations tells its own story: it points to the extraordinary help and succour of Allah that protects and sustains His Message and His Messenger at times of severe shakings. In our own times, one of the questions Ahmadi friends generally raise pertain to the dissension against the Divine Manifestation witnessed within the framework of Jamaat Ahmadiyya Al Mouslemeen, a Jamaat founded and led by the Khalifatullah Hadhrat Munir Ahmad Azim Sahib (atba) of Mauritius under clear instructions from Allah the Most High. Some persons feel that the departure of people within a few years of their professing belief from the midst of the Messenger makes him a lonely man. Remember that immersed as they are in Divine remembrance and spiritual contemplation, Elects of Allah prefer solitude of their chamber any time over the company of hypocrites. Yet, people seem to believe that such events represent a credibility crisis for the Divine Manifestation. Worse still, in their wild imagination, some of them even conjure up that such incidents represent Divine displeasure (God Forbid) on the Chosen Messenger! A recent booklet written by the Khalifatullah Hadhrat Munir Ahmad Azim Sahib (atba) provides insightful comments on the 'Split' that happened within the Jamaat Ahmadiyya Al Mouslemeen. The Jamaat Ahmadiyya Al Mouslemeen as planted by the hand of Allah promised to bear its fruits until Allah tried them with their faith in His humble Muhyi-ud-Din. Slowly, all kinds of doubts kept entering into their hearts. They began taking the revelations of Allah as an ordinary occurrence, preferring to analyse them in their laboratory instead of complying to the commandments therein. Unfortunately, Oh so unfortunately, Zafrullah Domun Sahib became a party of these people’s – who were mostly his near relatives – scheming. He preferred to join hands with his blood relations instead of holding fast to his belief in his spiritual brother whom Allah had bonded him with. Doubts crept in, all kinds of questions were asked, and finally against all odds, the Jamaat Ahmadiyya Al Mouslemeen was taken in charge by the Managing Committee, having Zafrullah Domun Sahib, the President at its head. Many Ahmadis and other seekers of truth have, in recent times, come to hear about the Divine Manifestation in the person of Khalifatullah Hadhrat Munir Ahmad Azim Sahib (atba) of Mauritius. Among all the claimants of Divine revelation and special Divine Mercy in this age, the arguments and claims of the Khalifatullah stands distinctly superior.The Divine Messages the Khalifatullah says he receives from Allah the Most High and presents before the world is of sublime quality. (For an illustrative list of the Divine revelations of the Khalifatullah, click here). For an Ahmadi Muslim, these messages, pouring down like heavenly rain, cannot be dismissed out of hand except at the cost of ruining one’s own spiritual self- abandoning long-held beliefs about the continuity of Divine revelations and the coming of Divinely-raised souls in Islam. More thoughtful among them are convinced that the Khalifatullah is profoundly immersed in the spiritual waters of Qur’anic verities. They find that the arguments and viewpoints being articulated by the Khalifatullah are extraordinarily powerful and appealing. Yet, they want to know more about aspects of the Divine Manifestation they are not clear about. The recent set of questions raised by some seekers of truth must be seen in this backdrop. To address such concerns, in a recently published Booklet, Hadhrat Sahib reflected on the early days of the Divine Manifestation and provided illuminating insights on the Divine favours and trials that are inextricably intertwined in the times of the coming of a Divinely- raised soul. Drawing upon Qur’anic principles and stories of prophets, the Khalifatullah graphically portraits the events of his time- the role played by Zafrullah Domun Sahib, the founding of Jamaat Ahmadiyya Al Muslimeen in the early days of the Divine Manifestation and the circumstances in which Divine favour resulted in the subsequent establishment of Jamaat Ul Sahih Al Islam. The book stands as a living testimonial to the subtle ways in which Allah’s help and succour follows His Chosen Messenger even when his own people seeks to ridicule him and worse still, abandon the Divine Message altogether. The Promises of Allah are true in all ways. Ever since the beginning of the Divine Manifestation in the year 2000 in Mauritius, Allah bestowed upon this humble self countless revelations which was noted down by Zafrullah Domun Sahib, and many of these revelations have been realised, and the proofs of the existence of these revelations are with Zafrullah Domun Sahib. Indeed he himself, till today is a continued solid proof of this humble self’s veracity.